Rustic and relaxed. 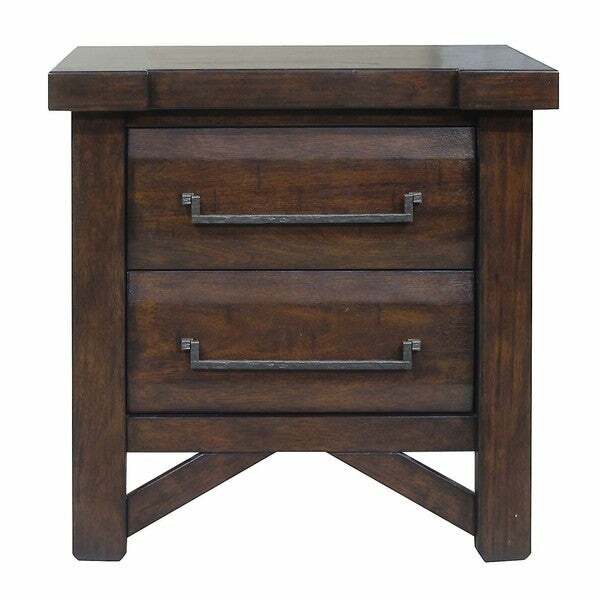 The Tacoma Nightstand is full of personality, and the unique distressed Chestnut finish with beveled drawer fronts is accented by hammered antique brass bar-style drawer pulls. Two drawers for storage and a convenient USB port makes keeping your devices charged a breeze. "where are the usb power ports on this cabinet?" The 2 USB ports are on the back of the nightstand.